“Can I share this with the class?” I ask the third grader sitting next to me. Shyly, he had handed me his notebook to read the literary essay he wrote about the story “Alone” in Days with Frog and Toad. Literary essays have been challenging to teach, to say the least. But this third grader…he nailed it! He had a solid introduction, his piece had voice, there was text evidence, and he wrapped it up with a conclusion. While I’ve shared mentor texts with the students, written my own teacher mentor text to share with them, and we created an essay together, I still think a fellow student’s essay will be the bridge that some children need from confusion to A-ha! Student- written mentor texts are a powerful tool in the writing workshop. In our August 2017 blog series Writing Workshop Fundamentals, I described mentor texts and touched upon student-written mentor texts. While many teachers seem knowledgeable about mentor texts and teacher-created texts, it is my hope that focusing on student-written mentor texts will lead more teachers to realize students can often be mentor authors, too. In her must-read book on this topic, Learning from Classmates: Using Students’ Writing as Mentor Texts, Lisa Eickholdt writes, “When I compare most of my students’ writing with the children’s literature I use in my classrooms, I see a large chasm between the two. What we all want as teachers is to help more children become better writers. Using student writing as a mentor text can help us achieve this goal” (xiii). Student-written mentor texts can include any piece of writing a student creates that you want to highlight to other students. It can be brainstorming notes, the way a student revised a piece, parts of a draft, or a finished piece of writing. 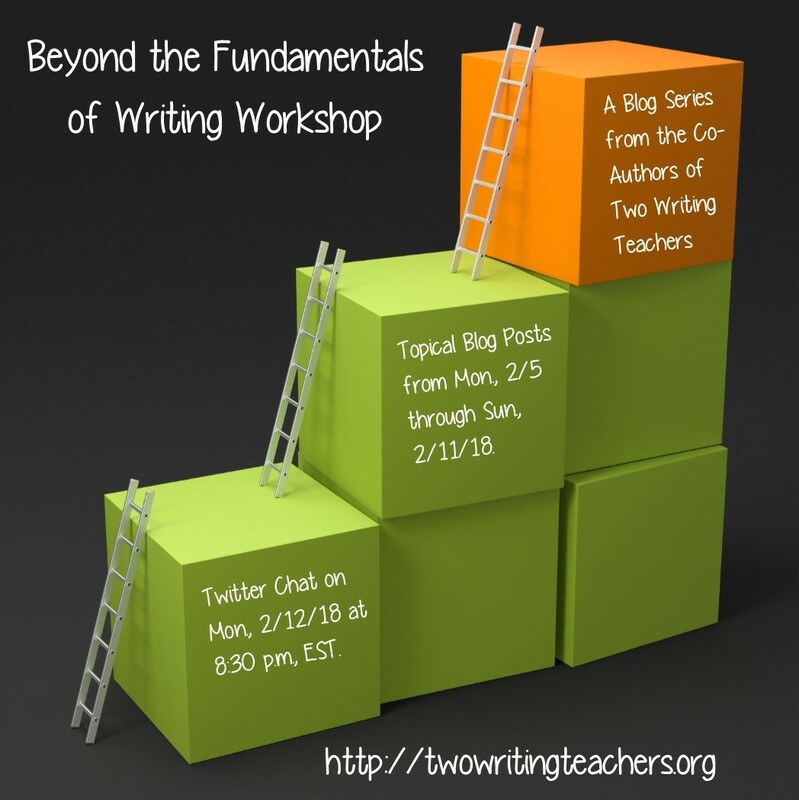 In her book Feedback that Moves Writers Forward, Patty McGee states, “…When a writer possesses a positive and strong writing identity, he or she is more inclined to invest in writing with passion and engagement. The writer’s identity influences every choice a writer makes, whether to invest and engage in writing, or to avoid it at all costs” (54). Sharing student writing and talking about the choices and craft moves the writer made elevates a student to be seen as an author. Teachers help students to see themselves as capable writers when their work is recognized, shared and discussed in writing workshop. Paula Bourque discusses this idea in her book Close Writing. She writes, “Frequently referencing student writing can support all students and reaffirm the student author” (64). The benefits are many when you share student writing. The student writer feels a sense of pride and grows in his writing identity. The other students see a model that is closer to what they can approximate and the gap doesn’t feel as wide as it might when comparing their writing to a professional, published piece. If you would like to use more student-written mentor texts in your writing workshop, the first step is to read your students writing with a sense of possibility. Look past the spelling, grammatical and punctuation errors to the heart of the piece. What is a student doing well? What could be shared with other writers? Lisa Eickholdt suggests that teachers “Notice, Name and Note” what they are seeing in student writing and write that down. As your collection of student-written mentor texts grows, your notes with what you noticed, named and noted can help you find the right text to help another student writer. Keep track of the student writing you have shared. 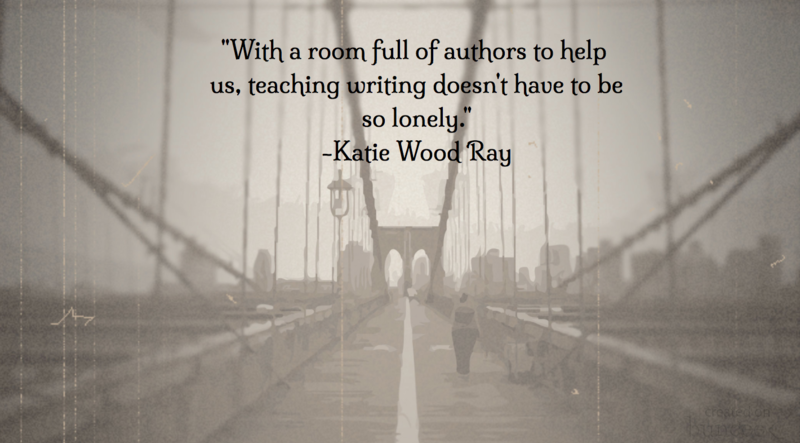 You don’t want to always share writing from the same student. Try to let every student have the opportunity to have their work highlighted as a mentor. Keep copies of student-written mentor text in your conferring toolkit. Think of the element of writing you are highlighting from the student-written mentor text (structure, development, conventions). Create a group of students who could use further teaching in this area and plan a small group where you study the student-written mentor text together. 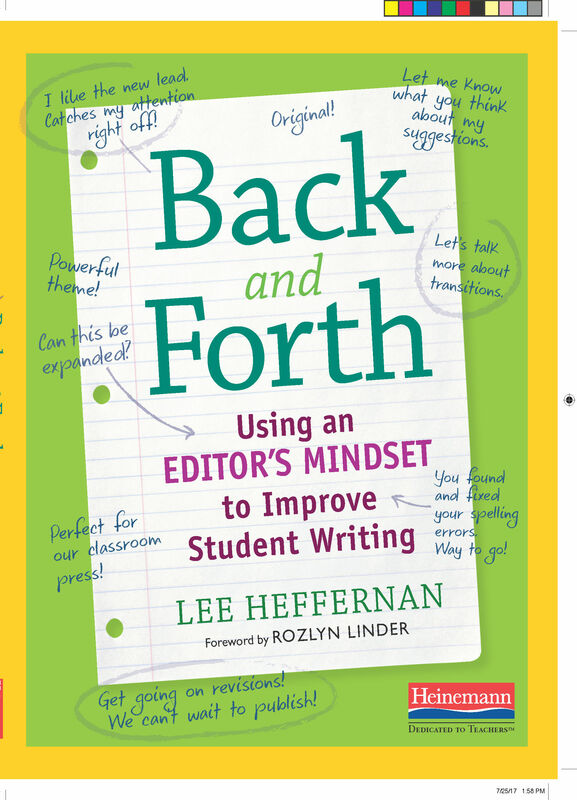 For a chance to win this copy of Back and Forth: Using an Editor’s Mindset to Improve Student Writing, please leave a comment about this or any blog post in this blog series by Sunday, February 11th at 7:00 p.m. EDT. Melanie Meehan will use a random number generator to pick the winner’s commenter number. His/her name will be announced in the ICYMI blog post for this series on Monday, February 12th. If you are the winner of the book, Melanie will email you with the subject line of TWO WRITING TEACHERS – BACK AND FORTH BOOK. Please respond to her e-mail with your mailing address within five days of receipt. Unfortunately, a new winner will be chosen if a response isn’t received within five days of the giveaway announcement. Student mentor texts are a must in my classroom. Because we share all of our writing in a blog, my students are reading each other’s writing every day. They more often learn from each other than they do from me. I keep thinking I should be more intentional about saving pieces of writing. 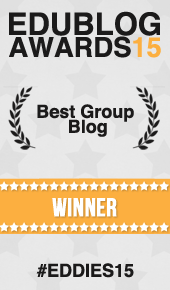 With a blog space, the writing is there waiting for me at any time. Great timing for this piece. I don’t use any published mentor texts for conferences and I’ve been encouraging teachers to use teacher and student writing pieces only. They are closer to the level of the students’ work and therefore seem “possible” and/or “attainable” as far as goals. I’m wondering about the management of student writing. I think I can scan them straight into google drive on my phone or iPad. No copies needed and then already filed. YAY! Oh my goodness! I just talked about this very thing recently. I agree with the replies above. I feel like using student mentor texts is powerful in that it not only shares an attainable writing element or craft move with classmates, but the student author’s work is validated through the sharing. Thanks so much for your inspiration here as well! I’ve always loved the idea of using student-written mentor texts. Kids are unlikely, but wonderful, mentors for each other! Such powerful motivation for the student whose work is showcased as well as the other writers in the room. I love using students as mentors. I do need to organize my work better as when I do share a student’s piece, it’s in the moment and I am not always able to make a copy that day of the element I am highlighting. Days later, the piece has slipped my mind and I’ve lost an opportunity. My students respond much better to other 2nd grade writing as mentors than they do to my own writing. Using learners writing as mentor texts empowers children and they begin to view themselves as authors and gives their writing value. After trying this in my classroom, motivation increased and learners were more open to sharing their work, exemplar or not quite there yet.